Flange guards as you would know are safety shields which help to secure the vulnerable pipe joints in plants where in pipes carry hazardous chemicals and substances. Accidental spray out of such harmful chemicals can often lead to major industrial damage to humans, the valuable plant & machinery and even the environment. However while selecting flange guards and working with them you need to be associated with them. 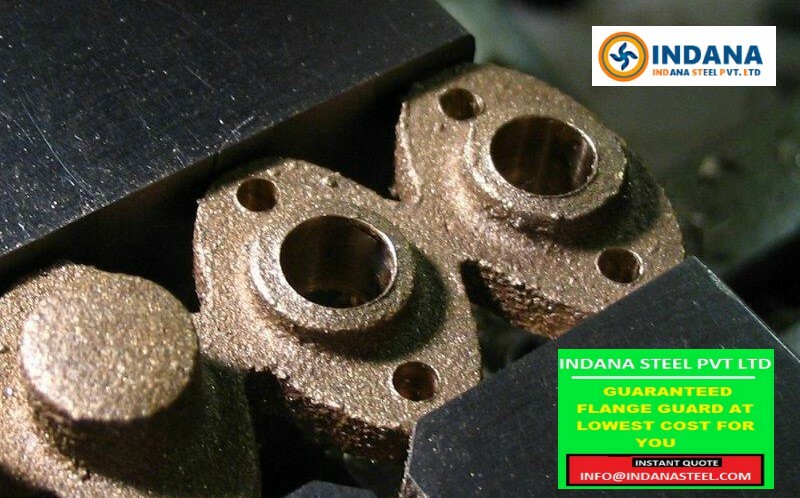 We at Indana Steel being one of the leading suppliers and manufacturers of the best quality flange guards want to make you aware of the risks and dangers with them and at the same time inform you avoiding the 3 common mistakes people make working with them. It is a generally tendency of people not to take the adequate precautions while working with flange guards. On of them which is common is not using hand gloves while working with them. What you must know that while you are handling acids and alkalis you must wear hand gloves. The hand gloves must be heat and chemical protective. With this you would freely be able to handle and work with them and on flange guards and thus prevent any major accident. You must take sufficient care not to entrust your matters of safety on someone else. Being the factory or plant owner or the plant manager you are the best person to assess your safety needs. So must be on your guard at all times and ensure that nothing is left to chance. In case you assign someone for the job the new assignee may not be abe aware of the overall environment and thus not be able to understand the safety needs and handle them effectively. Often while repair or any maintenance works loosening of the bolts of the flange guards may be necessary. However you must ensure to take sufficient care that the loosened bolts are not left undone even if it may be for a short period of time. It only takes a few seconds for any major accident to happen. The best way to prevent them is to tighten the bolts of the flange guards at all times. Leaving them undone may lead to accidental spray out and accidents. In conclusion we can say that the above mentioned points are the most common mistakes done by people while handling flange guards. However now that you are aware of them we hope you would not repeat them. In cas you are looking for the best quality flange guards please get in touch with us at Indana Steel. · How to choose the right Flange Guards For PipeSpray Protection? · Why use Indana Steel PTFE flange Guards? · How Flange Guards Work To Save Your Machinery?